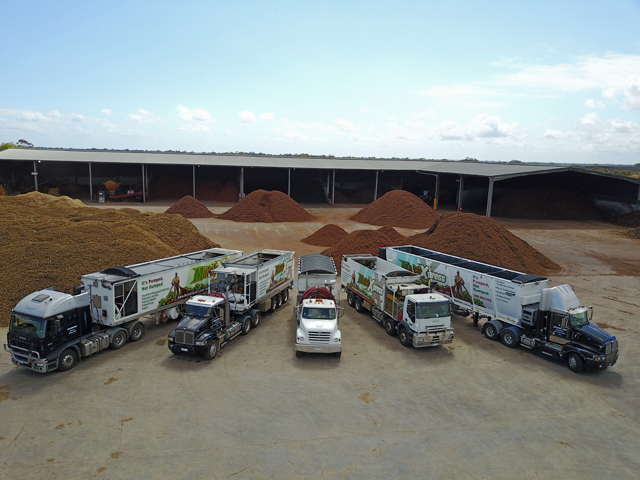 Benedict Sand & Gravel has an excess of Cowra Quartz on hand, and with their pebble and sand products now available at their Menangle quarry you don’t have to travel far to find them. 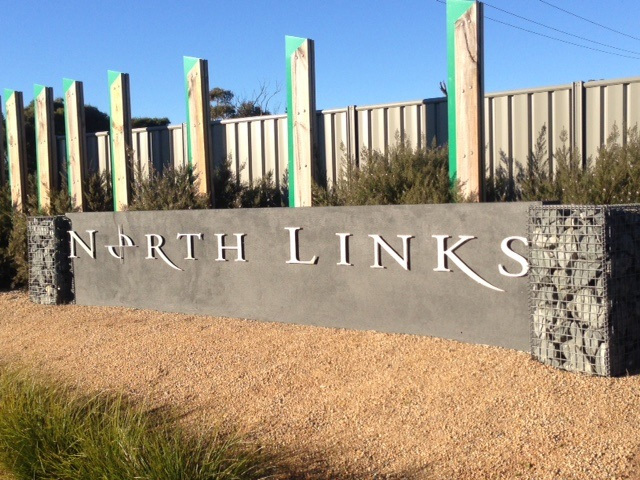 20MM White/Gold pebble and landscape blend products are now available at Benedict Sand & Gravel’s Menangle quarry. You no longer have to drive all the way to Cowra to source Benedict’s pebbles. 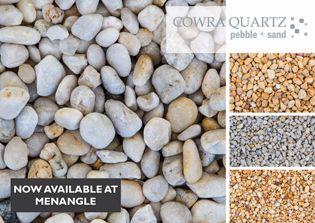 Cowra pebbles are now stocked in special bays at Menangle. No need to buy large volumes. Minimum 5 tonnes per transaction. 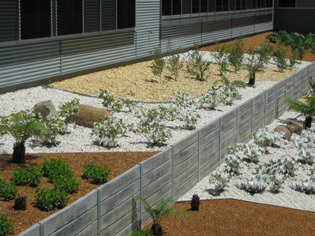 For over 60 years Benedict’s Cowra quarry has been producing pebble for decorative, landscape and industrial purposes. 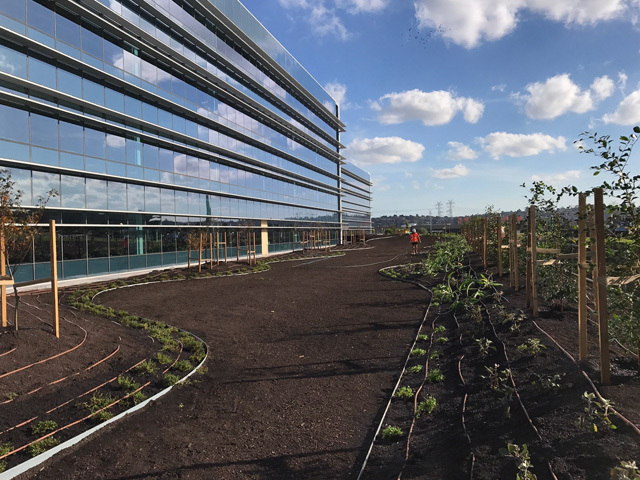 Its distinct colour and shape is often seen in many of Australia’s major landscaping projects, and utilised in premier buildings and architectural homes. 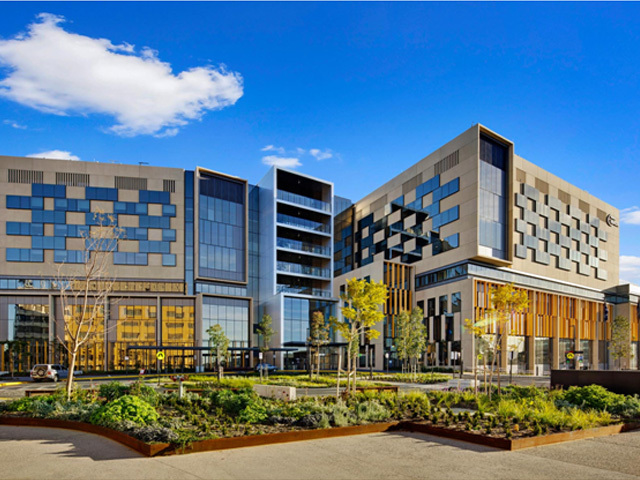 Sourced from the Lachlan River Valley near Cowra in NSW, Cowra Quartz pebbles are distributed throughout Australia. They are exceptionally high quality and very versatile. White and gold quartz pebbles are available in various sizes ranging from 2-40mm. Large range of iconic 20mm product lines. 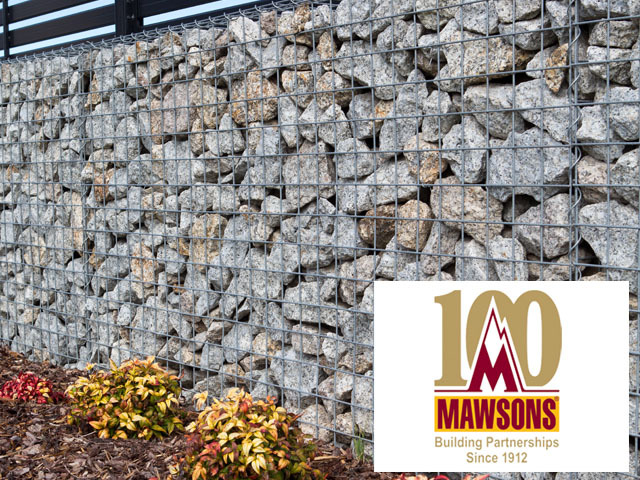 Close to 30 other products that regularly make their way into a diverse range of industries and applications including, bricks, pavers, water filtration, exposed and honed concrete surfaces, terrazzo, asphalt and high spec concrete. 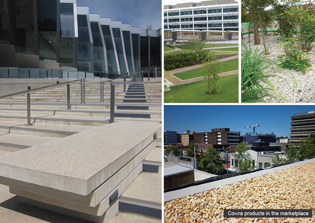 Cowra pebble can be found in architecturally designed homes on the Great Ocean Road and water filtration systems in the South Pacific Islands. All good nurseries and landscape yards (retail sale). Direct supply to job site or ex-bin from Cowra quarry. Pick up from Menangle quarry. With Benedict’s current reserves it means Cowra Quartz will be producing White and Gold pebble and sand for upwards of 40 years. 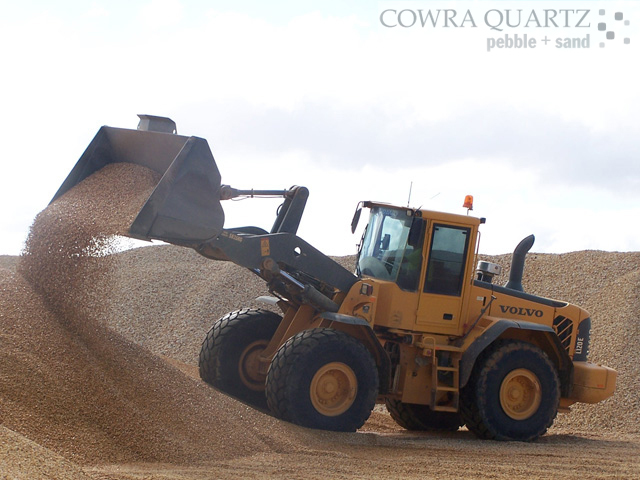 Bendict’s Cowra quarry also produces washed, high-grade fine-silica sand. 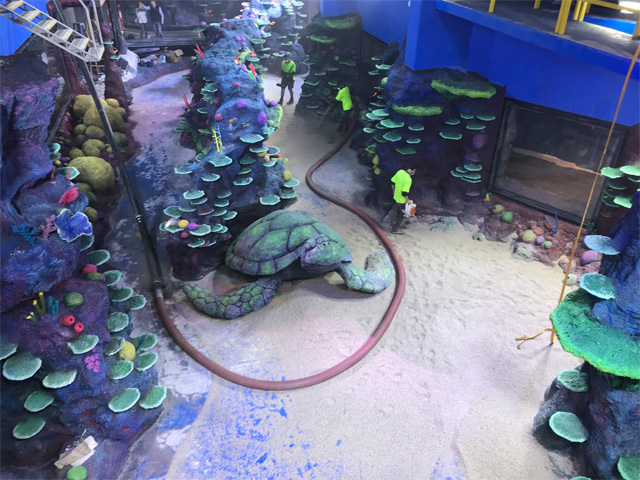 The high silica content enables customers to utilise the sand in specialty concrete situations, including scientific laboratory walls where low radiation absorption is needed. It is widely utilised in premix concrete. In fact, most RMS jobs in Central West NSW use Cowra sand.